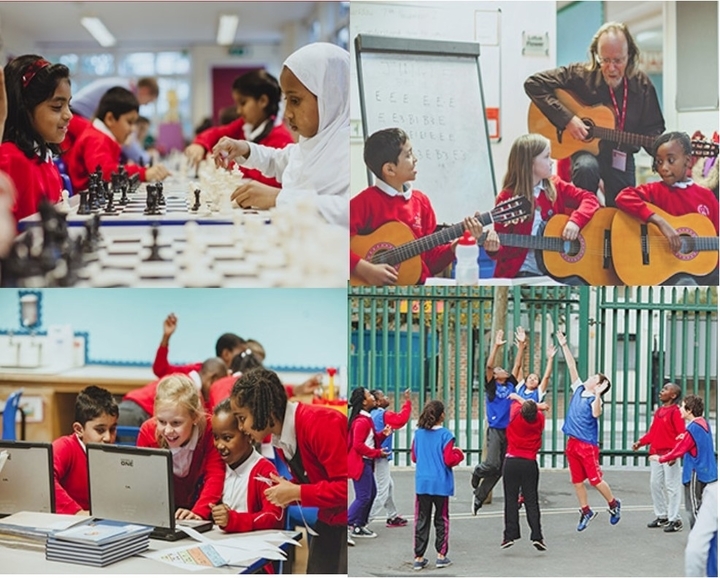 Carpenters Primary School in Newham has achieved IQM Centre of Excellence status. The school is situated in Stratford, close to the Olympic Park and in an area of regeneration. This has presented many challenges both to the local community and to the school, resulting in a transient population and high levels of mobility. Carpenters is a larger than average sized Primary School with two forms of entry and its own nursery. Currently there are 442 pupils on roll from Nursery to year 6. The school is part of the Newham Teaching School Alliance – Boleyn Trust. Pupils’ attainment on entry is well below national expectations and areas of communication, speech and language, literacy and personal social education challenge the teachers throughout the school to support pupil progress and raise attainment. The school has a larger than average number of pupils with SEN, admitting children with a range of diverse needs. A high percentage of the pupils are entitled to Pupil Premium, with a very high percentage of pupils having English as an additional language. The school reports that a number of pupils are admitted to the school who are not ready to learn. Pupils achieve and progress well, however, at the school and in February 2016, the school was graded ‘good in all areas’ by Ofsted, who reported that pupils were well taught and supported. End of Key Stage results are improving on an upward trajectory. The Headteacher, Inclusion Lead, Senco and staff share a clear passion for and emphasis on inclusion, with a focus on the whole child, including their social, emotional and mental health. There is a sense of true community and inclusive practices are well embedded with a high commitment from all staff in ensuring that every child is supported and enabled to achieve their potential. The school goes out of its way to support both the pupils and their families and school staff have developed very positive relationships with families, particularly those who are difficult to engage, providing a triangle of support of child, school and family. The approach to teaching and learning at Carpenters is very child centred and individualised and the school offers a broad and balanced creative curriculum, which is relevant to its pupils, together with a range of clubs, educational visits and trips. Breakfast club and a wide range of after school activities are on offer to the pupils. Systems of identification, support and review are embedded within the school, with clear pathways of support for pupils and regular continuing professional development for staff. A range of interventions operate within the school to ensure that every pupil receives the best chance of being ready to learn and then progress. These include reading, maths, handwriting, spelling, language and phonics interventions, which are regularly reviewed for impact. Resources help scaffold and progress the pupils’ learning. Classrooms and learning environments are bright and enabling, with working walls and visual timetables. I observed a high level of pupil engagement in lessons through the learning walk, with adults deployed very effectively to support individual pupils. Marking and feedback is effective in helping pupils know how to improve their work. They were clear about how the teachers help them to improve their work and feel well supported. They like the opportunities that the school offers them if they have a problem such as the ‘Cool Room’, ‘Chill and Chat Room’ or ‘Thrive room’ where you can talk to a teacher ‘in case you have a problem or want a new friend’. They are clear about the RESPECT values which the school upholds (responsible, excellence, share, polite, encourage, communicate and truth) and they like that their achievements are regularly celebrated at school, particularly through the weekly achievement assembly where awards for star of the week, reader, homework, presentation, pen licence and lunchtimes are given out. ‘the only heartbeat of this area being the school’. The school works hard to build good relationships with all parents. A wide range of opportunities and workshops are offered to parents/carers to enable them to be involved in the school. These have included Triple P training and training on safety, maths, phonics and reading. The school is currently encouraging parents to sign up to a new ‘Maths with Parents’ online programme. In the EYFS at the start of each day parents and carers are encouraged to come and read with their child. Parents like the open-door policy which operates at the school, with staff being very accessible to parents/carers and the way that staff meet and greet them each day. The school’s ‘Ethos of Openness’ was very evident throughout the assessment. and felt that being a Governor was a privileged position with the most important thing being that the children are given the best.